By Jason Davis – WASHINGTON DC (Jan 30, 2019) US Soccer Players - MLS fans across the country are already checking their calendars. Teams are in training, running through their paces ahead of the 26th season of Major League Soccer. For some, the games start earlier than for others. Five sides will compete in the CONCACAF Champions League kicking off the third week of February. The rest of MLS gets underway at the beginning of March. That leaves less than six weeks for teams to firm up rosters, install systems, and tweak approaches. The sooner a club has a full complement of players on hand, the sooner the work to turn it into a highly tuned soccer machine can begin. The pace of acquisitions and the amount of change at a few of the league’s recent frontrunners is worrying considering the timeline. Expectations haven’t fallen in places like New York City and Dallas, but those clubs face a new season with difficult questions and the possibility that 2019 will be more about rebuilding than contending. NYCFC and FC Dallas lead the way among clubs ripe for regression this season. The third side in those rankings requires a bit more conjecture, but it’s a reality of MLS that teams head into a new year hoping to build off a strong showing the season before and then fall flat. NYCFC dealt with a dramatic end of an era this winter when David Villa departed for a new adventure in Japan. NYCFC might have been able to retain their all-time leading goalscorer with a new contract but ultimately decided not to invest more money in the 37-year old. That decision seems a wide, practical one on the surface, but it also left a gaping hole at the front of the formation. Head coach Dome Torrent, a man who struggled to keep NYCFC on a steady path after taking over for Patrick Vieira midseason, will no longer have the reliable talent of Villa to lean upon as the club’s leading creative and goal-scoring option. As of now, NYCFC has just three forwards on its first team roster. A January decision to jettison the admittedly goal-shy Joe Inge Berget leaves the New Yorkers with 20-year old Valentin Castellanos, a player who scored one goal in 446 minutes last year. Then there's Jonathan Lewis, a talented slasher more suited to the wing who never earned the trust of his coaches in 2018. Rounding out the forwards is Ismael Tajouri-Shradi, a productive attacking threat with 11 goals and three assists last season who is also better when deployed wide. NYCFC and investor/operator City Football Group are an ambitious club in MLS. They now have an open Designated Player slot and plenty of allocation money. Without a big push and a major signing, they look set to head into the new year minus a line-leading goal-scorer. City also lost Venezuelan international Yangel Herrera, a crucial part of the midfield over the last two seasons. His replacement is likely to be US international Keaton Parks, a 21-year old who moves over on loan from Benfica. Parks's ability to adapt to MLS and for partnerships with the likes of Maxi Moralez will inform the club’s results this season. Working in the club’s favor is a stable defense, with Sean Johnson returning in goal behind Alexander Callens and Maxime Chanot. Ronald Matarrita and Ben Sweat hold down the fullback spots. That group helped NYCFC allow the seventh-fewest goal in the league last season. NYCFC limped down the stretch of the season and finished third in the Eastern Conference, well back of both the Red Bulls and Atlanta. They beat Philadelphia in the knockout round before exiting to Atlanta United in the Conference semifinals. Torrent’s learning curve was steep last season, so giving him some benefit of the doubt is fair with the demand that he improve his ability to manage in MLS. If NYCFC finds a talented forward, things could be fine. Right now, neither of those things are givens. Picking a team out of the West that looks most destined for a step back is not easy. Sporting KC figures to be formidable again. LAFC should only build on its first season in the league. Portland is the defending conference champions. RSL’s kids should improve. The Sounders are always near the top of the standings when the regular season ends, horrific starts notwithstanding. That leaves the West’s fourth-place team in 2018, FC Dallas as the obvious choice. The Texas club enters the new year in the midst of change, both in the coaching and player ranks. Oscar Pareja’s departure at the end of 2018 leaves a vast void in the identity of the club. Pareja helped establish FC Dallas’s style and was instrumental in helping the team leverage the talent coming out of its well-stocked academy. Over the course of his tenure in Texas, only the New York Red Bulls earned more points in the regular season than Pareja’s team. Into the void steps Luchi Gonzalez, most recently the club’s academy director and now the second-youngest head coach in the league. Gonzalez climbed the ranks at FC Dallas and earned a chance by the internal measure of the club. He has no experience coaching at the senior level. The turn from dealing with boys in a developmental setting to men in a competitive one is dramatic. It's not fair to Gonzalez to expect this transition to be easy. With the coaching change comes a player overhaul as well. With incoming signings likely pending, FC Dallas is muddling through a facelift for the new season. The club’s top two goalscorers from 2018, Maxi Urruti and Roland Lamah, are both gone. FC Dallas shipped Urruti to Montreal for $75,000 in allocation money and a first round draft pick in this year’s SuperDraft and declined Lamah’s option. Urruti’s replacement is Czech striker Zdenek Ondrasek, a player who scored 11 goals in 19 games for Wisla Krakow of the Polish league last season. Ondrasek is a TAM signing expected to pick up the slack on the scoring end. While his pedigree is nothing to dismiss, it’s not clear that Ondrasek will have an immediate impact in MLS. The club also invested in midfield, acquiring Honduran international Bryan Acosta as a Designated Player. Acosta came at a significant cost to the club via transfer fee and will hold down the central midfield spot in 2019. His arrival upgrades that area of the field and should help FC Dallas stay in games, no matter how effective the attack might be. 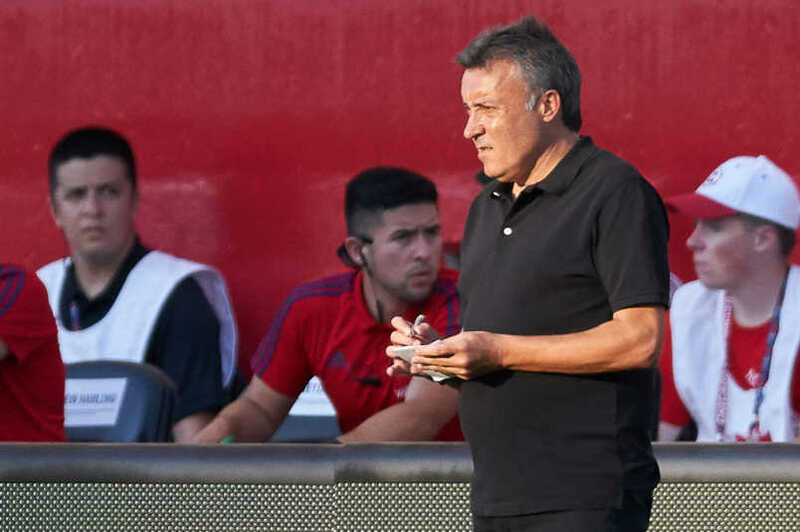 There’s plenty of carryover from last year’s playoff team, of course, but big questions hang over FC Dallas in a manner not seen since Pareja replaced Schellas Hyndman as head coach back in 2014. No guarantees, of course, and there is still time in the transfer window and before the season begins for both NYCFC and FC Dallas to avoid regressing this season. A signing here or there could make all the difference. If other clubs have surprise drops, both clubs could benefit. Still, these two clubs are swimming upstream thanks to the changes over the winter. Maintaining 2018’s level wouldn’t just be admirable, it would be an upset.